Age Scotland is proud to be a partner in Poppy Scotland’s Unforgotten Forces portfolio. We will be working with partners including Action on Hearing Loss Scotland, Care and Repair Scotland, Citizens Advice Scotland, Defence Medical Welfare Service, Erskine, Fares4Free, Legion Scotland, Luminate, Music in Hospitals Scotland, Poppy Scotland, Scottish Older People’s Assembly, Scottish War Blinded and the University of West of Scotland. The portfolio is funded by the HM Treasury grant-giving body funded from Libor banking fines. The fund’s aim is to promote health and wellbeing for veterans aged over 65 and their dependants. Around 1 in 10 people aged 65 or over in Scotland are veterans or veterans’ dependants; this includes a large cohort of older people who were required to do national service who do not necessarily view themselves as veterans. Age Scotland already works with many veterans, through our helpline, Men’s Sheds, walking football and our member groups. This project funding will enable us to identify and better meet their needs. Most project staff will be based in our Edinburgh office, but we also have a new Veterans community development post which will be based in the north of Scotland. So what will the project involve? Supporting veterans who may be isolated to access service, support and good company in Age Scotland member groups and promoting networking among member groups which involve veterans. Older veterans’ issues will be better represented in the media and with policy makers and service providers. Our free calendar “Hot Tips” aims to ensure everyone in Scotland knows about the organisations and services available to them, and provides information on how to make the most of later life. The month of June saw us partner with Carers Trust Scotland – the largest provider of comprehensive carers support services in Scotland. Heather Noller, Policy & Parliamentary Officer tells us about emergency planning and future planning for older carers in her guest blog. 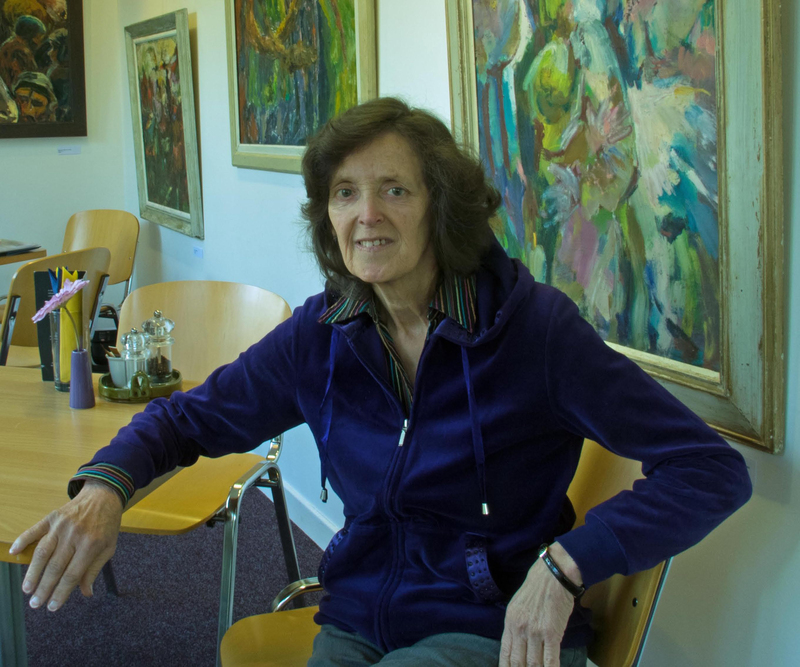 In March this year, the Scottish Government introduced the Carers (Scotland) Bill. It’s been a long time coming – first announced in Autumn 2013, an extensive public consultation took place to look at what was required from a Bill for carers and how it would interact with other pieces of Scottish legislation. The Bill is a further chance to highlight carers’ needs and experiences to policy makers, showing them where the gaps are in support and services and improving the carer identification and assessment process. However, there are a few areas where changes need to be made to ensure the new legislation delivers new rights and real change for carers, and one of the key amendments we’re seeking is a commitment to emergency planning and future planning for carers. Emergency and future planning can be particularly important for older carers, who can be concerned about what will happen to the person they look after if they are unable to continue caring for any reason; a lack of planning (or lack of support to make a plan) often causes unnecessary complications and concerns for them and the person they care for. Nobody likes to think about something bad happening, but for many carers, the details of their caring role and their loved ones’ needs live in their heads rather than being written in a plan, and the need for a plan only becomes clear when an emergency occurs. Early planning and the availability of high quality emergency care and support can help to relieve concern in cases like planned hospital admission for the carer, and in emergency situations, when things can happen at very short notice, the plan is clear and accessible to everyone involved in caring for the carer and the person they look after. Often the key thing is to provide continuity and security for the cared for person, especially if it’s important for care and support to be delivered by people they know. It might not be easy to think about what might happen if caring is no longer possible, but in the long term it’s the best thing for carers and the people they look after to make sure that a difficult situation isn’t further compounded by not having a plan in place. The Carers (Scotland) Bill is a great opportunity to improve outcomes for all carers in Scotland and to highlight in legislation the importance of carers having the opportunity to plan for emergencies and the future. It should be a fundamental part of an Adult Carer Support Plan and Young Carers Statement so that all carers get the opportunity to discuss their emergency and future planning needs. Enable Scotland and Carers Trust Scotland have worked together to lobby the Scottish Parliament to make changes to the Bill around emergency and future planning, and we’ll continue to discuss the issues with organisations that work with carers, like Age Scotland, to make sure that a wide range of views of represented. Visit Carers Trust Scotland or call 0300 123 2008 for more information. What is the Help for Heating fund? 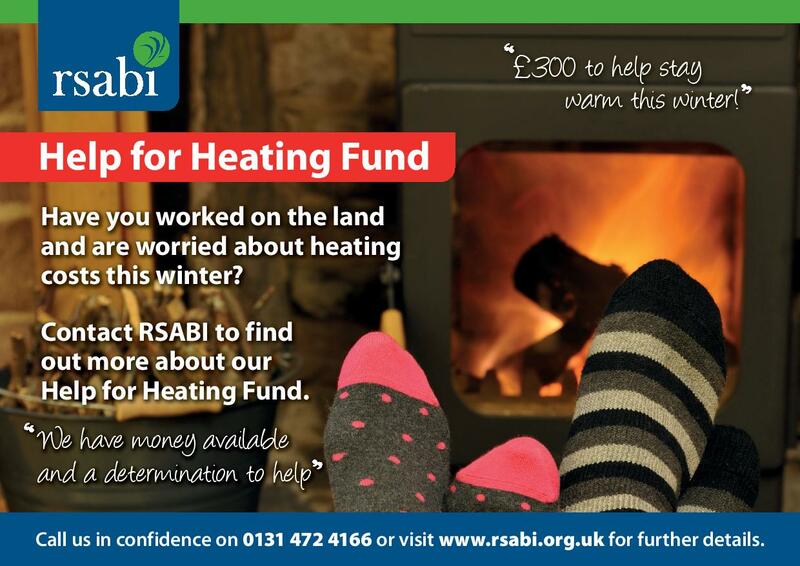 In their guest blog, RSABI tell us about the “Help for Heating Fund”, launched in December 2014, which aims to alleviate the effect of fuel poverty amongst people who have depended on land-based occupations. It is widely recognised that rural fuel poverty is consistently higher than the national average with older people being particularly vulnerable. Energy efficiency improvements can help make homes more comfortably and affordably warm. However, in many rural communities where properties are typically older, harder to treat or lie off the gas grid, they alone cannot lift people out of fuel poverty in the context of rising fuel prices and low fixed incomes. RSABI recognises that during the Winter months many households will be inadequately heated, with many people will be worrying about paying their energy bills. The Help for Heating Fund has been set up to help alleviate the effects of fuel hardship for those who have depended on the land but are now unable to work. The application is simple and the charity has made cash available specifically for this fund, with help coming in the form of a fixed grant of £300 for successful applicants. A few points to note – the Help for Heating Fund application criteria are simple: applicant households must fall within the Scottish Government’s definition of fuel poverty – over 10% of total income (which includes all benefits, disability or otherwise, and housing benefit, if received) spent on energy bills (or this would be the case if their home was heated to generally acceptable adequate levels). Applicants must meet RSABI occupational criteria – having worked full-time on the land in Scotland for at least 10 years and being no longer able to work owing to age, illness and/or disability. What becomes of the carer? As a carer, losing the one you are supporting can be a double pain of bereavement and redundancy. Here, guest blogger Christine Rae opens up about her experiences. Why am I writing this piece about caring? The reason is simple – because when I became an accidental carer for my Mum I couldn’t find the information I needed to do the task effectively. With hindsight I suspect it was available, but just not in one place, and the conversations I had with others in similar situations seemed to bear this out. This article illustrates my experience and it acknowledges my gratitude for all the help I got from those people who time and again rescued me from the mire. To me there are two types of carer, visible and invisible. The visible ones are easily recognised, generally wear a uniform and have had some specific training to equip them for their caring role. Invisible carers on the other hand, have in most cases had no training at all, relying on a combination of love, basic instinct, resourcefulness and sheer good luck to enable them to look after their loved one, and are recognized only by their relationship to the person they care for. And what becomes of the carer after their loved one dies? There is the immediate pain and grief, the keeping up appearances in public, the eventual rebuilding of some kind of lifestyle, and superficially at least, they look as if they are managing, coping, doing OK. It is the same problem again. They have loved and cared for their relative, in many cases for years, and have suddenly been deprived of that ability. They are suffering the double pain of bereavement and redundancy, and as a result of a loss of purpose and focus, need help and support to rebuild their sense of self-worth once more. I found that the most important thing was admitting to myself that I was feeling vulnerable and letting other people help me. Don’t feel guilty about accepting it, they would not offer if they didn’t want to become part of your life. Let your guard down, open yourself up and let the world back in. It won’t flood in, it will only come in as quickly as you need it to, and one day the person doing the helping and supporting will be you, the no longer redundant carer. Age Scotland has supported the development of a new information pack designed to raise awareness about elder abuse within Black & Ethnic Minority Ethnic (BME) communities. The pack, launched this week by the Cabinet Secretary for Justice, Kenny MacAskill, has been published by the Older People Services Development Project following a consultation on what has been a hidden and unspoken issue. The Lottery-funded Project – jointly run by the Trust Housing Association, Hanover (Scotland) Housing Association and Bield Housing and Care – has developed this information in partnership with Age Scotland to generate wider awareness of these issues, and to help identify signs of elder abuse or neglect within BME communities. Speaking at the Elder Abuse Information Seminar in Glasgow, the Justice Secretary said: “It is profoundly chilling to think of older people in our society facing neglect and abuse. “The information pack being launched today is a vital part of the strong, positive, message we need to get out to all victims of abuse in Scotland – you are not alone. The consultation revealed that, contrary to the perception BME communities ‘always look after their own’, this group of older people can face a range of difficulties. Indeed, it is sometimes the traditional reliance on family that can leave some older BME people vulnerable to financial, mental or emotional abuse. Rohini Sharma Joshi, Equality, Diversity and Inclusion/ Manager of Trust Housing Association, said: “In BME communities, older people may already experience isolation and confusion through language and cultural barriers, and can also be denied financial independence and the means to access support or social services. “Afraid to speak out for fear of abandonment, some of these older BME people are even unaware the problems they experience are actually termed as abuse. Age Scotland Chief Executive Brian Sloan said: “It is vital that we encourage those experiencing elder abuse to seek help, however, many people may not know where to turn to, especially if the person responsible is a relative or carer. Superintendent Gavin Philip from Police Scotland, said “Police Scotland is committed to working with all communities to help understand the impact of elder abuse issues or concerns this problem raises.